Lowest backlash of 0-2 arcmin thank to high precision gear machining. Square flange output method to achieve the quick connection with any motor. Maintenance free due to lifetime synthetic grease lubrication system. Taiqi Seiko is focus on developing the precision-gear technology to meet the increasing needs of customers in industrial automation fields. Taiqi Seiko VRB series are the works of our research and development. 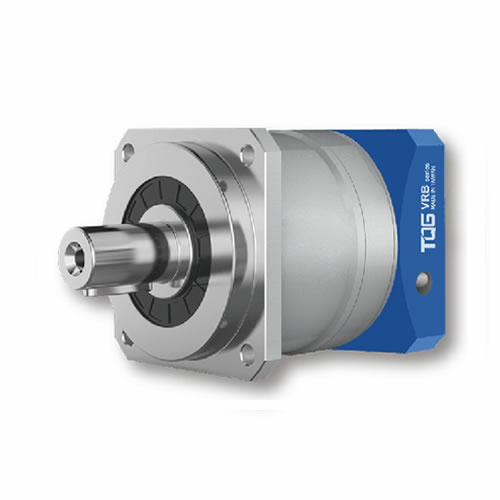 We offer VRB series gearboxes with the most comprehensive choice of frame sizes and reduction ratios and can be suitable for different configurations. 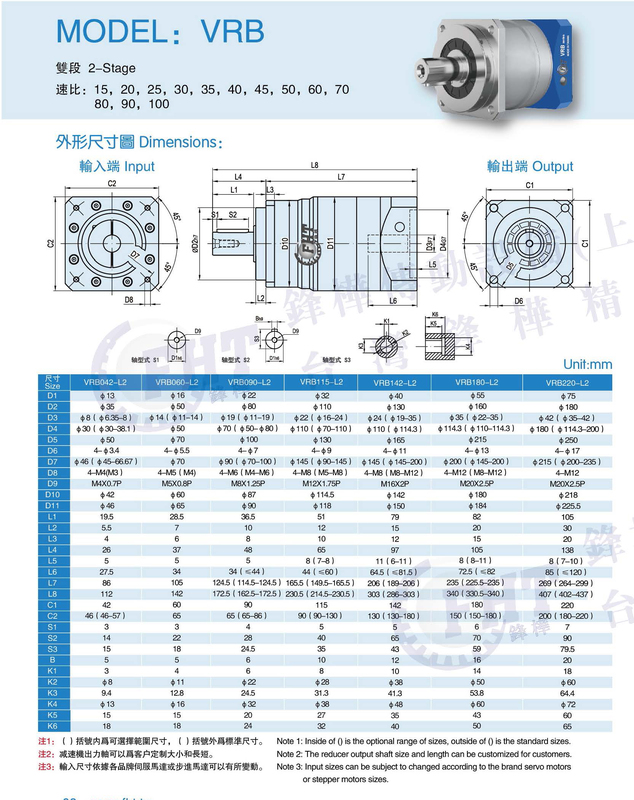 Industrial standard mounting dimensions allow Taiqi VRB to be adaptable to different equipment designs, saving our customers’ time and money. 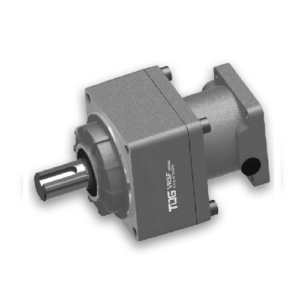 VRB series high precision planetary gearboxes are the equivalent products of PAB series. Compared with PAB square shape frame, VRB series planetary gearboxes are designed with a round shape. They are all inline gearboxes. PAB precision reducers has border precision ranges for select. 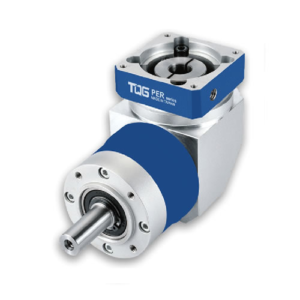 VRB planetary gearboxes only have two optional backlash for your choice: Micro precision backlash (P0) and precision backlash (P1) , without standard precision backlash (P2). On the aspect of sizes and torque values, there is a slight difference. VRB planetary gearboxes also offer a wide sizes for selection, which can meet customer different application needs. 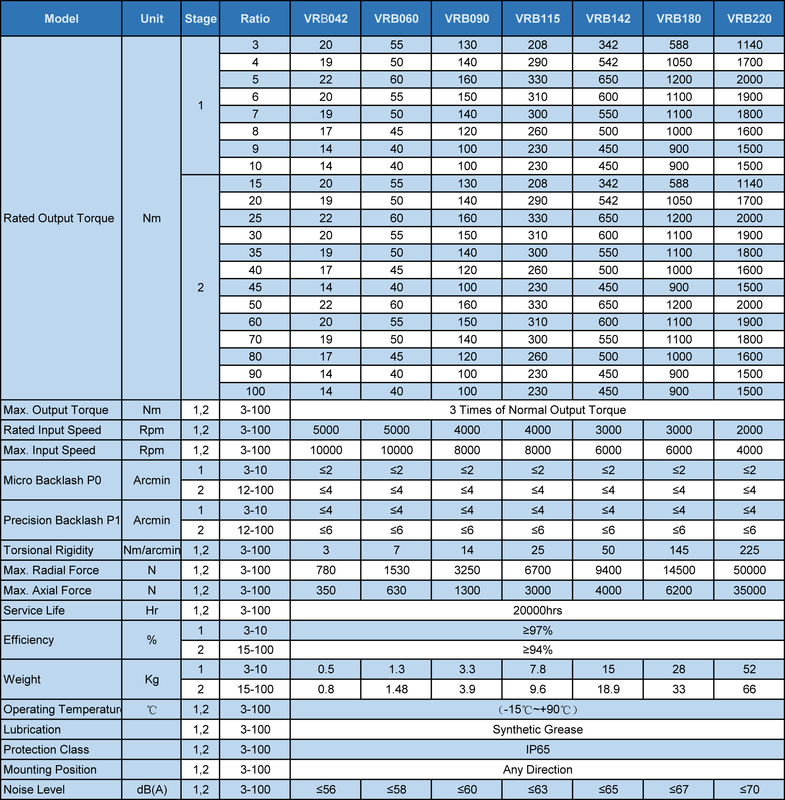 For the more details, please check our related catalogue page. 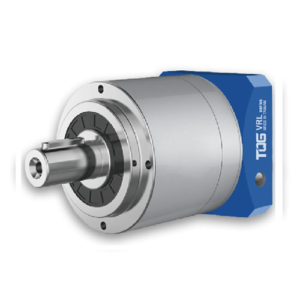 Taiqi VRB Series planetary gearboxes are applicable for servo motors and stepper motors of brands like Panasonic, Fanuc, SIEMENS, Matsushita, Mitsubishi, Lenz, Yaskawa, etc. 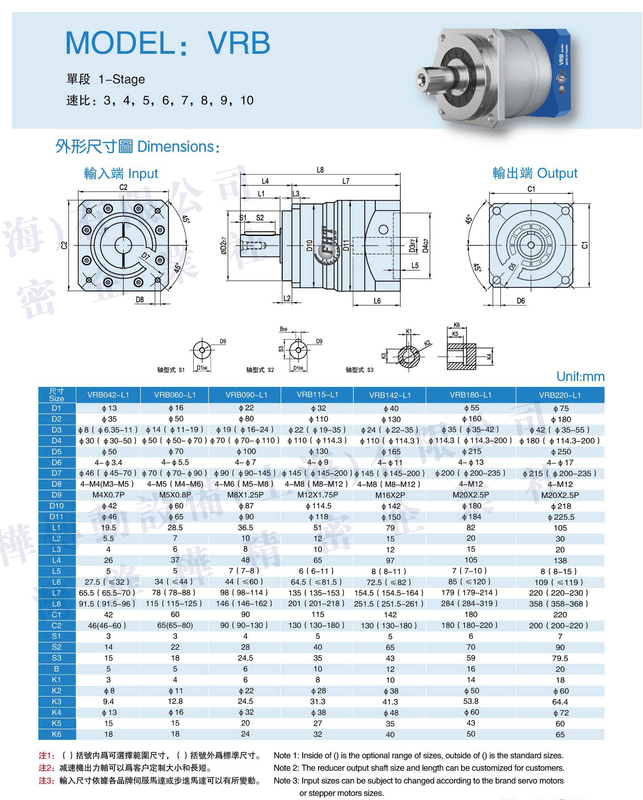 Taqi Seiko VRB High Precision Planetary reducers are the perfect solution for servomotor applications, which are widely applied in polishing machine, paper equipment, solar energy equipment, CNC cutting machine, glass equipment, pipe bending machine, automobile equipment, reciprocating machine, engraving machine, woodworking machinery, aluminum curtain door and window equipment, injection molding machine, circuit board equipment, packaging equipment, experimental equipment, coating machine, precision testing instrument, university scientific research Institute, etc. 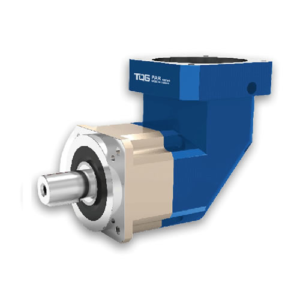 TQG PAB series planetary gearboxes are featured with two multi-national patent of lubricating construction, which is applied in the internal spiral gear structure to ensure the highest output efficient .